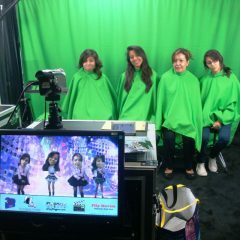 Renting green screen technology is a new wave in entertainment. Celebration Authority’s Pop Noggins is a fun and interactive amusement that allows guests to become singing sensations without using their own voice or bodies! 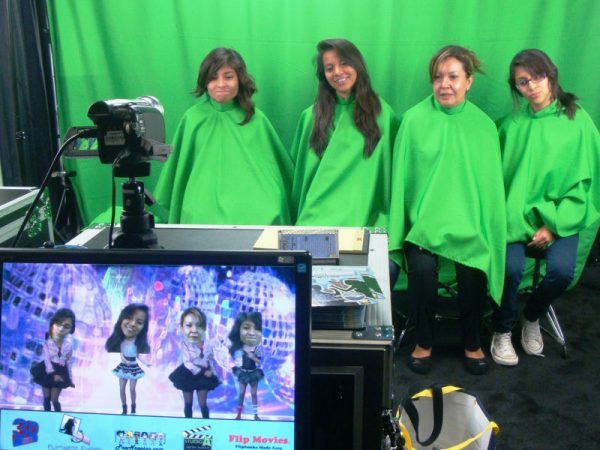 We’ll seat up to six guests in front of our green screen and cover each one in a green cape, making their bodies completely disappear from the neck down against the green screen backdrop. 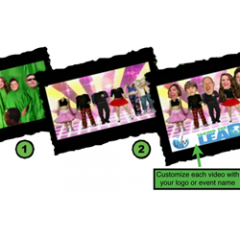 Our technicians will adjust the large video screen monitor for viewing the group, each with a new, clever, cartoon body that has animated, action packed dance moves. 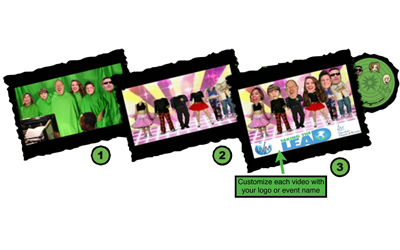 The music will be chosen, the performers signaled, the song will begin, the filming will start, and your guests will be encouraged to move their mouths, wiggle their heads.